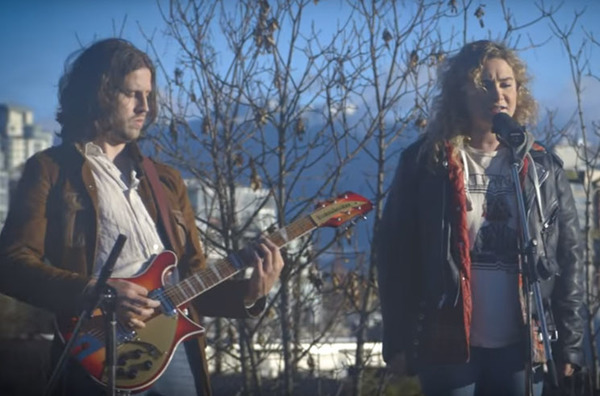 Last we heard from Vancouver blues rockers No Sinner, they were serving up some psychedelic visuals for "One More Time." Now, they're ready to share a stripped-down live rendition of a new track called "Friend of Mine" — and Exclaim! has got the exclusive premiere. Atop a building and against a scenic backdrop, singer Colleen Rennison's soulful vocal runs gets accompanied by simple, subtle electric guitar. A studio version of the song is slated to appear on the group's forthcoming second full-length, which is expected out this spring. Before that record arrives, the band will be teasing fans with a live show tonight (January 7) at the Horseshoe Tavern in Toronto. Get ready for the gig by checking out No Sinner deliver "Friend of Mine" stripped bare and live from a rooftop in the player below.